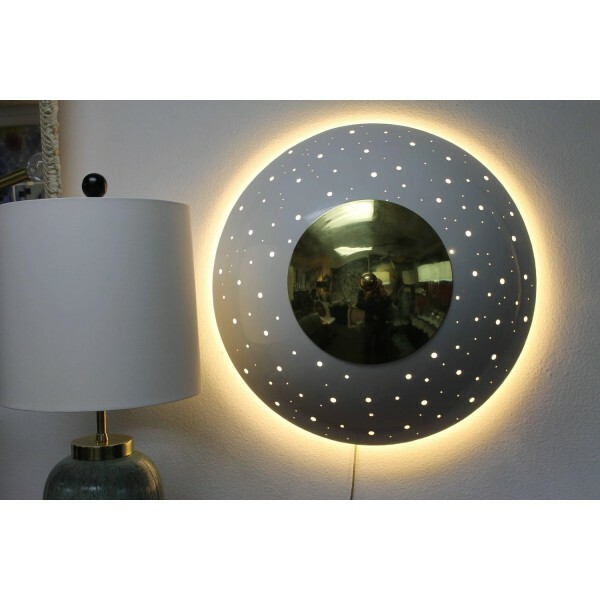 We can not take our eyes off these beautiful industrial sconces - especially when they are lit. 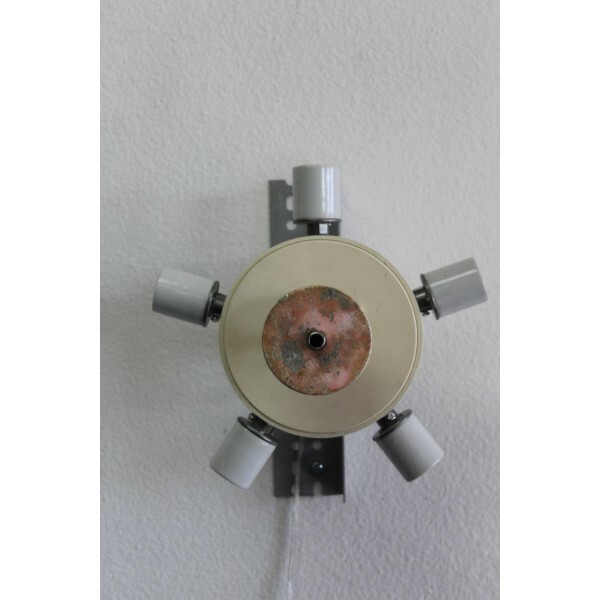 Originally a ceiling hung fixture from the famous Faust Hotel in Rockford Illinois (which is no longer there), these fixtures have been re-fitted to be wall sconces. 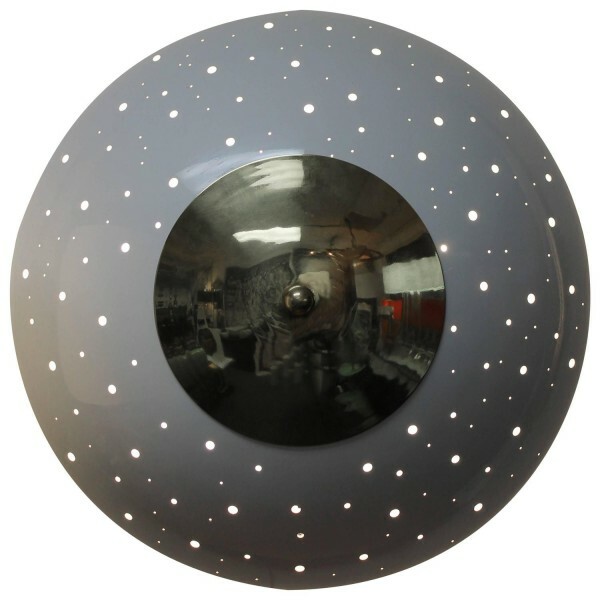 The swiss cheese disc is 30" diameter and 7" deep or high. Disc has been professionally restored and coated with automotive paint. Brass center disk and ball have been re-brassed. 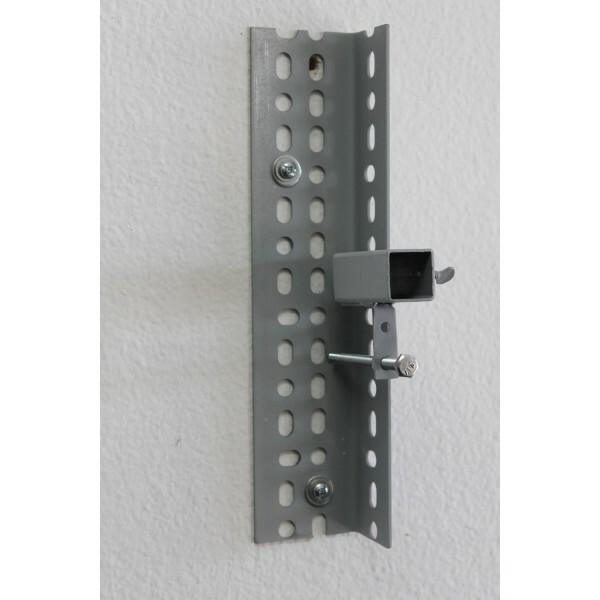 If however, you wanted to mount them in their original orientation, they can be easily converted back by replacing the wall bracket with a ceiling mount - something easily found at any hardware or home improvement store. However, we think you will want to keep them as they are. 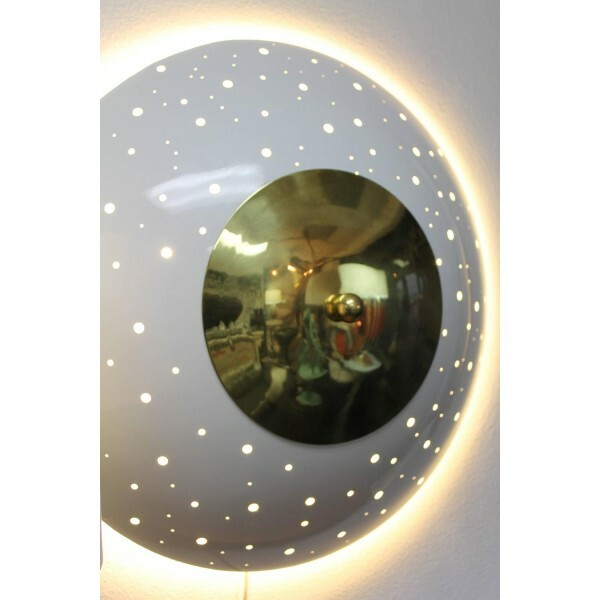 Each fixture consists of a domed and perforated bowl that has holes of various sizes, randomly placed to give the illusion of stars. 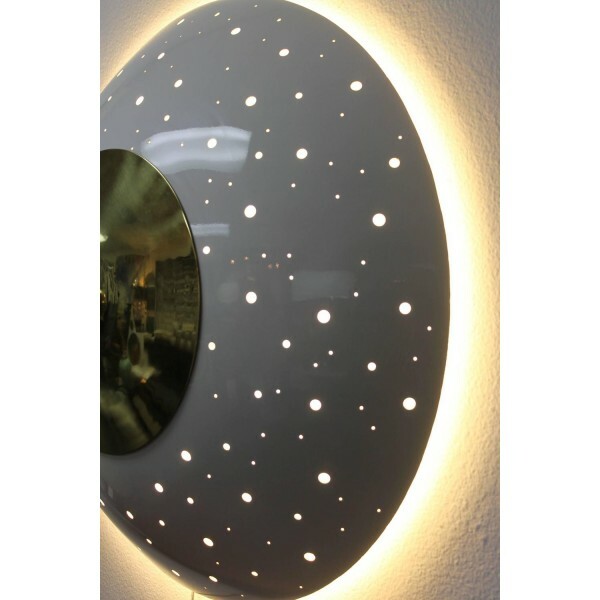 These holes cast wonderful shadows on the wall when the fixture is lit. 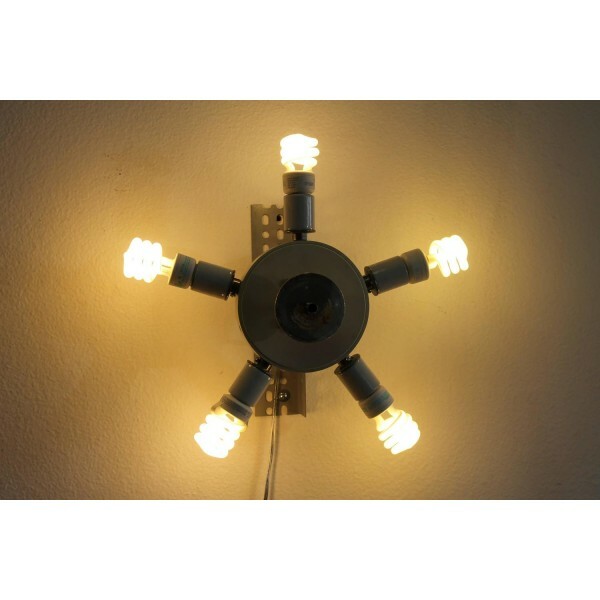 Each light has provisions for up to five bulbs. They have traditional sockets so if you use incandescent bulbs, you can place this fixture on a dimmer. Or, you can use compact florescent bulbs or even LED bulbs to save on energy. Any bulb used though produces a wonderful effect. 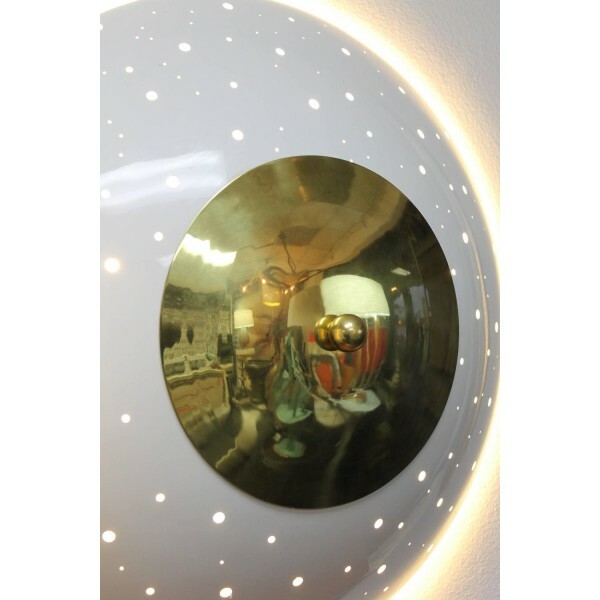 Light can also be adjusted to tip them up or down and also in and out to level the dome and/or to adjust the distance from the wall. 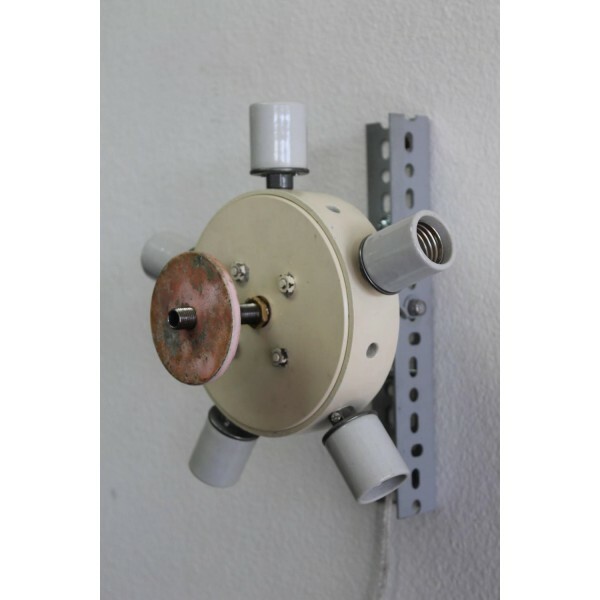 These fixtures may be used outdoors (as long as they are not exposed to extreme conditions) because they have been coated with a heavy duty automotive paint. However, we suggest you use them indoors to protect their pristine restored condition.